Hasankeyf Matters: A glimpse of Hasankeyf’s future? 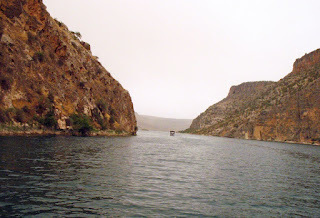 The storied Euphrates, called simply “the great river” in the Bible and the birthplace in Greek legend of the goddess Aphrodite, flows strong, if muddy, outside of Gaziantep in southeastern Turkey. From the tiny town of Halfeti, about 200 miles west of Hasankeyf, visitors can charter a small, open-air motorboat to whisk them through the Euphrates valley to the ruins of Rumkale (Greek Castle), a cliff-top fortress towering above the river on a rocky promontory. The view along the way is beautiful, but melancholy too. 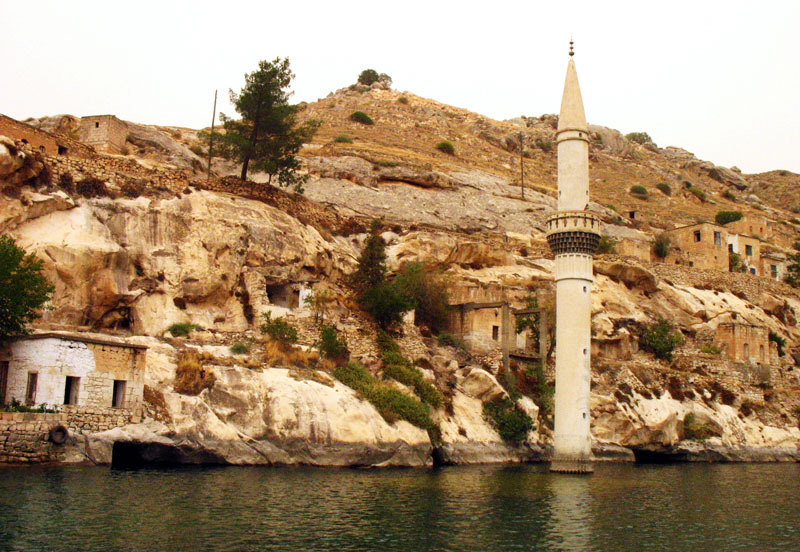 Along the river’s edge, mud-colored houses and mosques sit perilously close to the water, reminders of the change to the landscape wrought by the building of the Birecik Dam upstream. Around one particularly lonely bend, a sole minaret pokes eerily through the surface, the mosque attached to it lost beneath the dam’s waters. Construction of the Birecik Dam, which began in 1996, affected 44 villages in the region, flooding nine completely and three partially, destroying pistachio fields and orchards, and forcing the resettlement of some 6,500 residents. An 11th-hour salvage operation saved some artifacts from the previously unexcavated ancient Roman city of Zeugma, including the stunning floor mosaics and wall frescoes displayed at the Zeugma Mosaic Museum in Gaziantep. What else lies below the dam’s 358-square-mile reservoir, we may never know.